When we last left Ladislav Scurko, the Slovak player who was charged with murdering a referee in 2008, he had just been released with a new trial pending and was playing again, this time with HK Slovan Gelnica and later HK Trebisov in Slovakia. On Monday, Scurko was convicted of murder and sentenced to eight years, the minimum for such an offense. The prosecution was looking for at least 15 years. After the final speech of evidence were presented. They gave the prosecutor, the injured party's legal representative, advocate the defendant, substitute counsel and the defendant himself. The conclusions of the psychiatric examinations Ščurko act committed in a state of diminished sanity, the court considered a mitigating factor and therefore imposed a sentence at the lower rate. The court imposed a protective psychiatric outpatient treatment by a prisoner. The sentences him among the facilities for imprisonment with moderate surveillance. Scurko confessed originally and claimed that the referee, Marek Liptaj, had moved into his home and lied about having cancer. He attempted to get Liptaj to move out after learning about the cancer lie, but an argument broke out during a drive that ended with Scurko using a kitchen knife to stab him multiple times. Last July, Scurko recanted his statement claiming he was tricked by local police. A 2004 draft pick of the Philadelphia Flyers, Scurko spent three years in the Western Hockey League with the Tri-City Americans and Seattle Thunderbirds before beginning to play professionally in 2007 with HC Kosice of the Slovakian Extraliga where he won a league title. 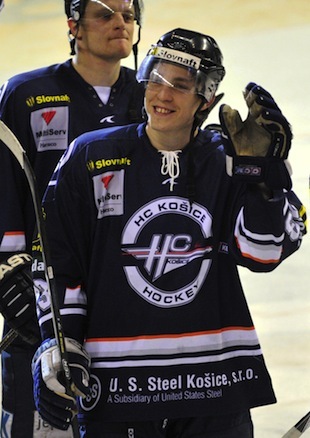 He also played for Slovakia at two U20 World Championships and two U18 World Championships.